Start Reading and Listening Today! Download eBooks and audiobooks from Overdrive – Bestselling fiction and nonfiction; adult and children’s titles. A portion of this collection is funded by a gift from the estate of Henry and Dottie Swartz. Get two free audiobooks every week all summer long! Download public domain eBooks from Project Gutenberg – Classics, both well known and obscure. Searchable online database of reference titles developed by Salem Press. 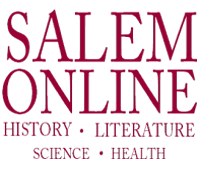 Online full text content includes Salem's subjects: health, history, literature and science fields. Includes indexes, illustrations, maps, recommended websites and primary documents. Download eBooks from EBSCOHost – Great variety, including helpful nonfiction, popular fiction and children’s books. Stream and download music albums, movies & TV shows, audiobooks, eBooks and comics. Titles are always available. If the eAudiobook title you want in OverDrive has holds, check hoopla. These titles are instantly available. Flipster is a next-generation digital magazine service that allows people to browse the latest issues of high quality digital versions of popular magazines. You can borrow Flipster digital magazines for 48 hours for weekly publications and 7 days for monthly publications. Special thanks go to BB&T Bank for funding Business e-magazines in 2019, while donations from four Past Presidents of The Library’s Board of Trustees is funding several entertainment and news e-magazines this year on Flipster. BookFlix combines classic fictional storybooks with similarly themed nonfiction eBooks to make reading more engaging.